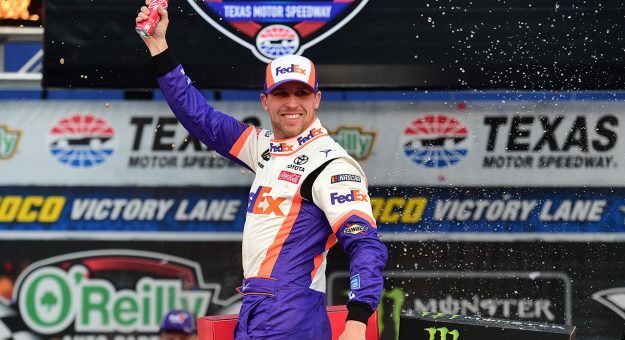 Denny Hamlin captured his second win of the season in Sunday’s O’Reilly Auto Parts 500 at Texas Motor Speedway. Hamlin overcame two pit road penalties in the race to score his 33rd career Monster Energy NASCAR Cup Series win and third at TMS. “Just a fast car,” Hamlin said. “They gave me a car that could really pass anyone in the field. That means a lot. 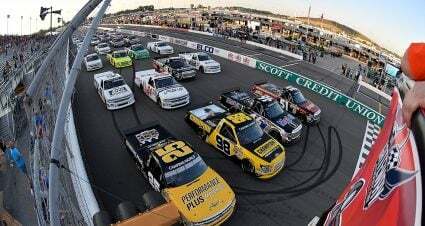 It definitely was a different type of race here, trying to draft and everything and trying to get out of everyone’s way. 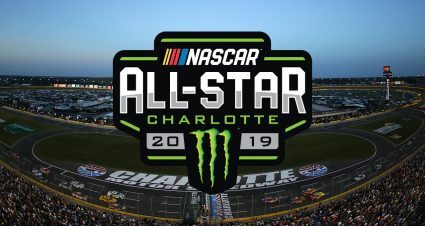 Clint Bowyer, Daniel Suarez, Erik Jones and Jimmie Johnson rounded out the top five. William Byron, Aric Almirola, Kevin Harvick, Kurt Busch and Kyle Busch completed the first 10 finishers. Kyle Busch now leads Hamlin in the standings by eight points. 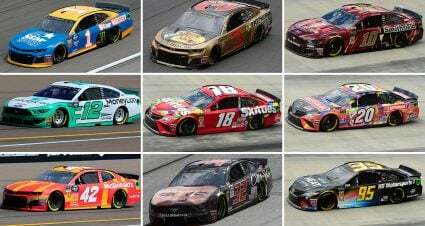 The Monster Energy NASCAR Cup Series now heads to Bristol Motor Speedway next Sunday afternoon. How Hamlin Won: The last pit stop of the day proved to be the difference for Hamlin, which was ironic since he suffered two penalties earlier in the race for speeding as well as for an uncontrolled tire. But Hamlin’s crew came through when it mattered most for a fuel only stop near the finish that got him off pit road ahead of the field. From there Hamlin went on to take his second checkered flag of the year to go along with taking the Daytona 500 to start the season. 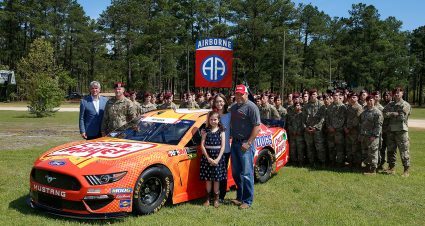 Who Had a Good Day: Bowyer scored his best finish of the season in second (Read More)…Suarez notched his fifth career top-five finish…Jones rebounded after spinning to bring out the day’s first caution to finish fourth…Johnson had his best finish since finishing fifth at Charlotte in the Coke 600 last May (Read More). Who Had a Bad Day: Brad Keselowski had something break on the rear of his car and was forced to the garage for repairs and finished 55 laps down…Kyle Larson slapped the wall and a fire erupted under the hood of his car when he came into his pit stall…Ryan Blaney led 45 laps but had an engine expire taking him out of the race…Kyle Busch led 66 laps and had a comfortable advantage late until he had an issue that caused him to make contact with the wall dropping him from contention to sweep the weekend after his Gander Outdoors Truck Series and Xfinity Series victories. 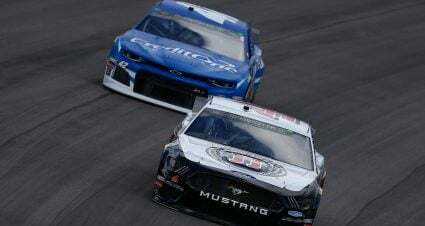 What Else Happened: The new rules package did appear to impact the competition bringing cars closer together in several occasions. 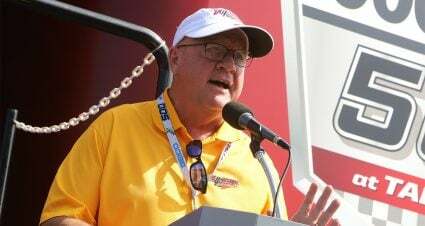 But the focus of the day was mistakes and issues taking several challengers out of contending for the win or at least a better finishing position. The list of drivers who did not experience some kind of issue Sunday was definitely a lot shorter than those who did. Quotable: “Just something broke out of nowhere. Something in the back of the car broke and it won’t go. It’s one of those really important parts, as Kenny Schrader would say,” Keselowski after his early race mechanical malfunction. 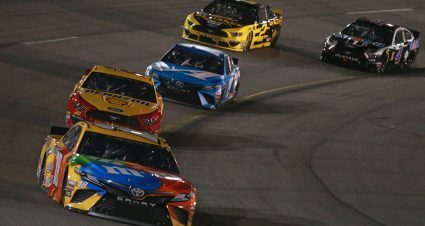 Notables: It was the fifth straight race this season won by the driver who won Stage 2…This was the first race since Kansas last fall that Hendrick had two cars finish in the top 10…Kyle Busch is the only driver to finish in the top 10 every race this season.